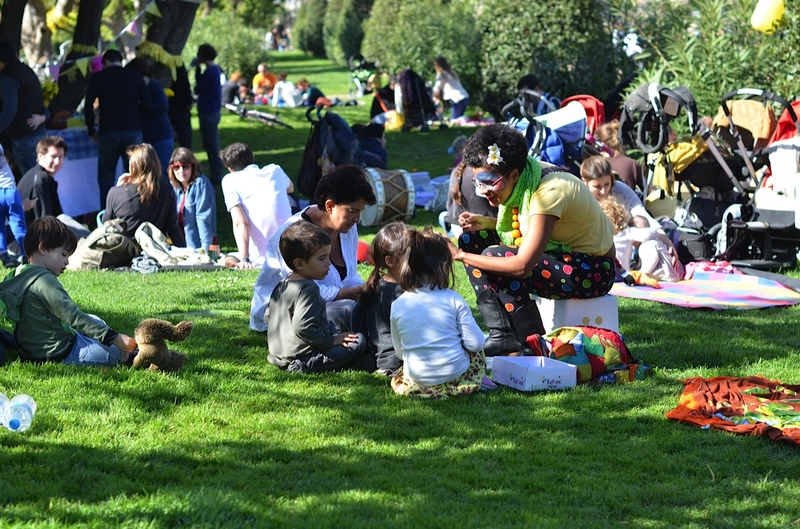 With all that good weather to indulge in, a family travelling together in Barcelona might find that a nice way to combine a day of sightseeing with mealtime would be to pack a picnic! This activity will supply some adventure too, as you need to go out to the local markets and get your supplies. When it comes to this you are in for a treat! The famous Mercat de Sant Josep de la Boqueria marketplace. This is an epic, full immersion, Barcelona shopping experience. What a lively scene you find here daily! 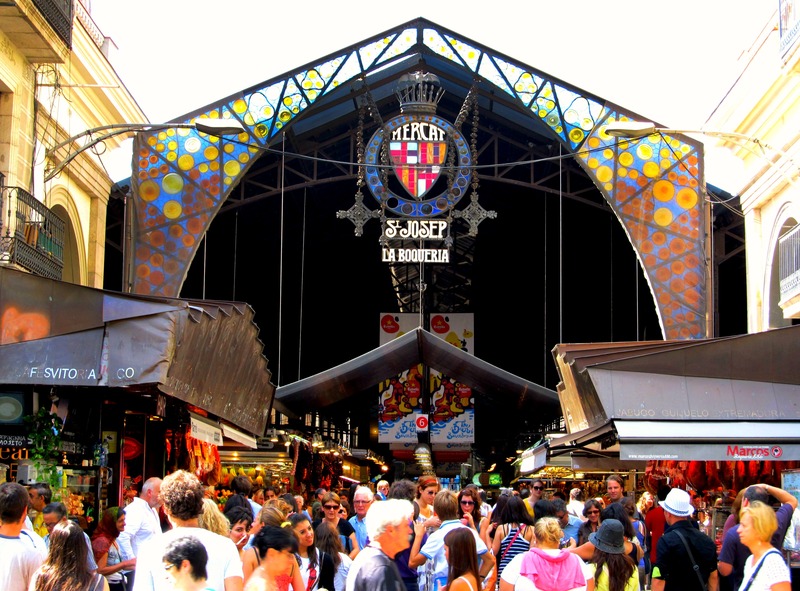 History books say the first mention of La Boqueria market was in 1217. A roof was constructed to house all the sellers in 1853 and in the 21st century guess what? It is still going strong! This is one of those places that takes you right to the heart of the city and reveals genuine local flavor. Here, everyone in Barcelona shops. Locals, restaurateurs, and tourists alike. You can buy groceries and prepared foods. The freshest vegetables and fruits can be found here – often picked just that morning. There are world class bakeries and confectioneries in La Boqueria, cheeses, fish, olives, herbs, sliced meats, it is just an endless list. Once you have visited the many stalls and shops and have selected your food and drink, you will want to enjoy your goodies somewhere a little more peaceful than the bustle of the market. Here is a location suggestion for your outing. Of course, you may discover one of you own! 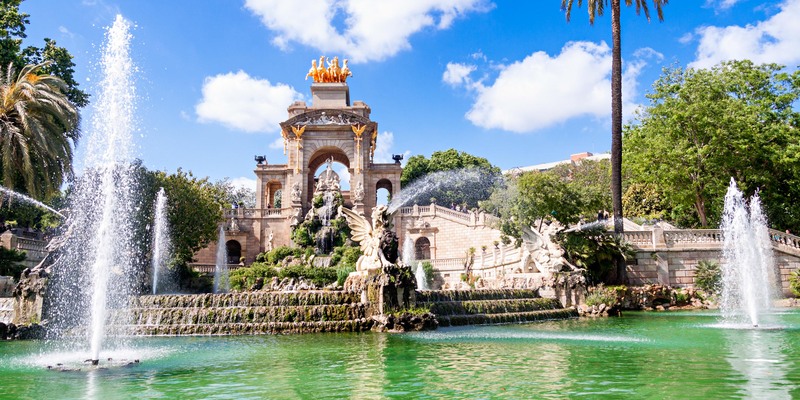 The lovely Parc de la Ciutadella is a 28 hectacre / 70 acre park, centrally located in Barcelona’s gothic quarter, the park has extensive grounds and things to do. It is a favorite place to chill out amongst Barcelona residents and is similar to New York City’s Central Park with all of its attractions. Here you will also find quiet, shady spots to relax and picnic in. “Barcelona Universal Exposition.” The Arch de Triomf was built for the occasion, and is now a Barcelona landmark, also at the park. More attractions here are the Barcelona Zoo, always a favorite with children. The magnificent Cascada Fountain, the Parliament of Catalan, housed here in a former arsenal, Citadel Park, which is the home of the Natural Science Museum and more. You will also find a few playgrounds here, a little lake to rent small boat’s and nearby there are bike rentals shops. Finally, if you forgot to go shopping for picnic supplies, there are restaurants close by too. So, stroll the Parc de la Ciutadella. You will find it easy to get to from La Boqueria, good for a picnic and relaxing. If you would like to have more information, do feel free to follow our family hotel in Sarrià and get your request done.